We are always differentiating ourselves and others through their nation and their races. Being abroad I always represent myself as Malaysian who is from a country name by Malaysia…but back at home I will represent myself as a Malay. Meanwhile we also differ and brand a group with its own characteristic. This happen all the time throughout my life. When we talk about Chinese Malaysian we always think them as the taukeh or the owner of the enterprise as they are well seen in the cities being on retailing industry. We seldom think that they are poor and there is no need to take care of that matter as Chinese always seen in big cars with big houses. Ironically there are actually quite numbers of poor Chinese in Malaysia and I have seen myself. It goes the same when we talk about other nations. Many of us would love the hospitality of Thai and always call them the gentle and mannered people as they are well cultured and well soft spoken. Even the Thai hero in a film sounded so soft spoken which contradict the image given by the Hollywood. 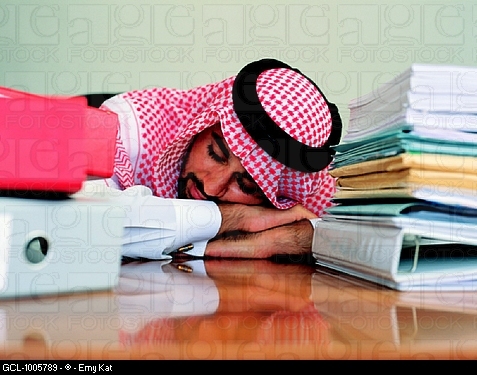 When we talk about Arab Saudi or the Saudian we always think that the extreme wealth, well spender and very rich. At the same time the old thought about Arab by Malay culture had many changed from a superior Islamic image as they straight going to the heaven into something blatantly vice versa. With the wooing of tourist from Saudi Arabia into Malaysia, many of us think that Saudian are very rich, have a lot of money and at the same time thought that they are a very rough and impolite people, less cultured and less manner. Many of businessmen too finding it is hard and being always skeptical to make any business dealing particularly with this nation. Even the most senior of protocol officer at Penang State Government being skeptical into this nation when I planned a delegation to visit this region. In the other hand, we are proud that many of main structure and development of this nation has touched by Malaysian and Malaysian companies. The clock tower at the Makkah and the expansion of the Al Haram project also have touched by Malaysian. Not to mention the highways, ports, new urban development, airports and many more. Yes still they mention it is hard to deal with this nation. I would love to talk about Egypt and Egyptian too as for now I have been to this country more than 40 times. We have more than 10,000 students studying in Egypt currently. When you ask them about the Egyptian, the right forward word will come as they are very poor, very rough, less patient and well temper, and always cheat people. Even surrounding countries call them with a word as ‘harami’ which means thieves. We try to forget that many of the Islamic scholars are born in this country and many been thought over here… so are those considered thieves too. Well I love this country anyway. I just realized another nation which is Afghanistan which I just knew that Afghani loves talking about themselves. Which in a mean of talking big and being show off about their superiority, wealth or just about anything of themselves. So blindly I just made a statement last night about a new friend that I knew by saying no wonder, he is from Afghan. Being in business is so crucial to find and identify the right partner and trust is always comes number one. I am myself cannot run away from this matter as our business deal with people from outside. The belief of associating a group of people or a nation always border me especially when it comes to something that is not nice for your ear. But funnily to think that actually most of my deals involve with this group of people that many tried to avoid such as the Arabs and the African. And the good thing is our revenue comes from these nations. Being ignorant I am still associate group with a certain well known attitude, but it doesn’t mean that I ignored the fundamental idea that we cannot judge the whole group just because of one person. Though still, there is a Malay saying ‘kerana nila setitik rosak susu sebelanga’. This thought even became stronger when I met a friend two days ago, a Saudian who seems to have a very bad experience and didn’t enjoy Malaysia much during his studies. He mentioned that Malaysia was too bad, food was too bad and even to the extend which he compared Malaysia is just like between Somalia and Saudi Arabia. Though he said a word ‘sorry to say’ which I felt sorry to him and forgiven him! He said that Malays and Indians are so poor and Chinese are rich, which in one angle I would say it is true but generally is not true, when he even doesn’t know where is Mont Kiara, Damansara, TTDI and many more. The comparison is just because of an average of salary is just about RM2000. Which is also not true that if we compare by saying average salary of Saudian is high and they are rich because they earn SR5000, which is approximately RM4082.18 while their one meal price will cost them SR40….their Mc Donalds at average of SR20 and above. As I said as the saying or a better word accusation of Arabs and the negative statement, I still have a lot of Arab relatives, partners, customers and many good friends and some of them even I love them just like my own family. This even made many of my peers and friends seem to be rising their eye brows of how did I manage with such people. I came to a conclusion that we always judge and give a connotation to a group of people and nation trough the judgment of the people that we met, through the experience that we had. I had a terrible experience being rob with old Egyptian at Alexandria and until now nobody knows about this included my parents and family. The only people who knew were the family in Alexandria who helped me and the Ambassador and few officers at the embassy and of course few Malaysian who studied in Cairo. Because of the hospitality of the family in Alexandria made me travel to Egypt more than 40 times. I doubt I would never touch the Egyptian ground if that old man stuck in my head. It goes the same with other countries like Thailand, Indonesia, China, Saudi Arabia, Syria, Turkiye, Emirates and many more. The friends that I had made me love the country and even visited more than once. Despite other issues of negativity, friends give a balance. At the other hand, it is important for us to keep ourselves well mannered, well behave, being ethical, professional as we are actually not only representing ourselves but we are representing Malaysia. I met many Saudian businessmen who are more careful with Malaysian businessmen as they have been cheated. Perhaps my appearance will let them discount on the issue and gain back the trust for Malaysian business. You are what your country is. Hence, it is wiser to judge by individual rather than given the whole nation a judgment. And at the same time very crucial to upkeep yourself in proper as others as well judging you and your country. As again the Malay saying ‘ masuk kandang lembu mengemboh, masuk kambing mengembek’. Previously i wrote that i am eyeing on online business. But i hasn;t started untill last night. Last year i was been presented a gift from a very old friend from Oman. It was a very nice bottle of Arab perfume. 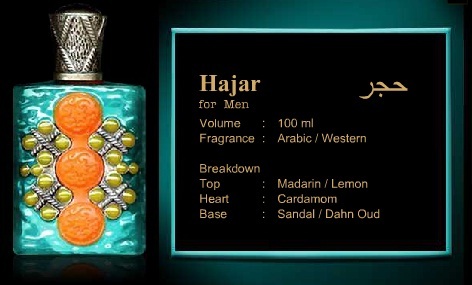 Usually Arab perfume will come with strong and deep smell of agar wood or sandal wood, very musculine and too strong for my character. Many Malaysians actually didn’t appreciate that kind of character. we always associate the smell with Geng Tabligh or Ustaz from the mosque. But the gift given by my friend was quite different, It has a strong character in sandal and spicy smell but very light and mild. After awhile the character of the smell even develop better and of course many of my friends like it. So last few months one of our friend went to perform hajj and i requested him to buy 3 bottles for me….one for myself, one for my grandad and another one for my dad. I ended up the one for myslef i gave to the Deputy Chief Minister of Penang State. And it does not ended that, my friend had to bring back 7 bottles for my other friends who use to smell my perfume when i am with them. Now im in makkah…..and of course it ended that i bought quite a few units for my stock…..and again few friends asked me to buy from them. An again it does not ended over there because i remembered why not this time give try online.. I posted the picture with the price, and of course with little bit of margin…..and I am getting orders. So come on guys, as I said anything could be turn into business. Just start! To start something is a challange…..but the biggest challange is actually to be consistent. I remembered once i read in news paper long time ago, quoted by our previous prime minister Tun Abdullah Badawi. It sounds something like this, to develop something is a challange but to maintain the development is another bigger challange. Ahhhhhh, i always envy to many of the bloggers who i dont really understand how do they up keep themselves up dated all the time. Is it because of they have ample time in their life, or they are just being consistent and descipline. I know many of the politician they have their own officer to take care of their blog. I wish i could be consisten on my blog because i believe that many things that i shouls share between my thought, my little experiance and my knowledge. At least i can call this as another investment of my valuable knowledge that would benefit others for my after life.